Hidden gems of Yucatan, such as Tulum, Akumal, Chichen Itza and Merida, offer an authentic taste of Mexico. Akumal and more Caribbean-style Chetumal, near the Belize border, deliver delectable white-sand beaches and great snorkelling. Merida, Chichen Itza and Tulum, with their ancient ruins, offer a passage into the Yucatan's native history. Famous for its dazzling sandy beaches, laid-back atmosphere and ancient ruins, the Yucatan Peninsula is home to the vibrant resorts of Cancun and Playa del Carman on one side and some of Mexico’s most interesting cultural treasures. Located in south east Mexico and bordering the Gulf of Mexico, the Yucatan Peninsula offers topical jungle, lush rainforest, stunning beaches with superb diving amongst the coral reefs and picturesque colonial towns. 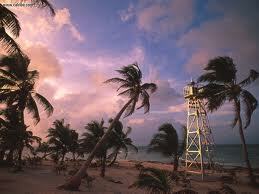 The nearest international airport to the Yucatan Peninsula is situated in Cancun. One of Mexico's most popular destinations, there is a superb choice of airlines which fly into the Yucatan Peninsula including United, Continental and Delta. For those who prefer direct flights, British Airways and some charter airlines all fly directly from the UK. The Yucatan Peninsula’s most famous attraction is the Mayan site of Chichen Itza, a ruined temple city and one of the wonders of the modern world as well as one of the best restored Mayan sites. Head to the picturesque colonial town of Merida, the cultural capital of the Yucatan Peninsula with narrow streets and beautiful plazas. Browse Merida’s superb museums and explore the Cathedral and parks. The town of Izamal was the centre of worship to the Mayan God of Itzamna and is home to several pyramid temples including Kinich-Kakmo. For some vibrant non-stop nightlife and a superb beach, the city of Cancun is renowned for its throngs of tourists and party atmosphere. 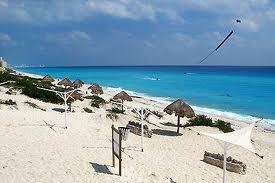 To find superb value cheap flights to Yucatan Peninsula, look no further than Directflights.com. By using our flight comparison search facility we can give you a choice of the cheapest flights available no matter when you're travelling and whether you're booking in advance or require lastminute flights. If you're after the cheapest fares on low cost flights, we advise you to book early and avoid peak times of year for travelling. Like much of the Caribbean, the peninsula lies within the Atlantic Hurricane Belt, and with its almost uniformly flat terrain it is vulnerable to these large storms coming from the east. Although these storms pummel the area with heavy rains and high winds, they tend to be short-lived, clearing after about an hour. The average percentage of days with rain per month ranges from a monthly low of 7% in April to a high of 25% in October. Breezes can have a cooling effect, humidity is generally high, particularly in the remaining rainforest areas.